It’s without questions that every store owner cares about customers’ comfort. A lot of products have only a few key characteristics, with the help of such characteristics a customer searches the product. 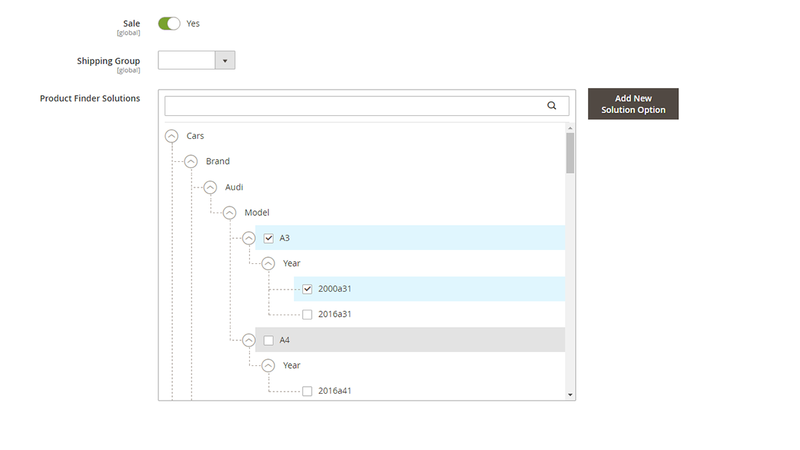 It’s quite a good idea to find a product using the advanced search. If you are a Magento® store owner of bikes, it will be simple to search a bike using a year of production, model, color. 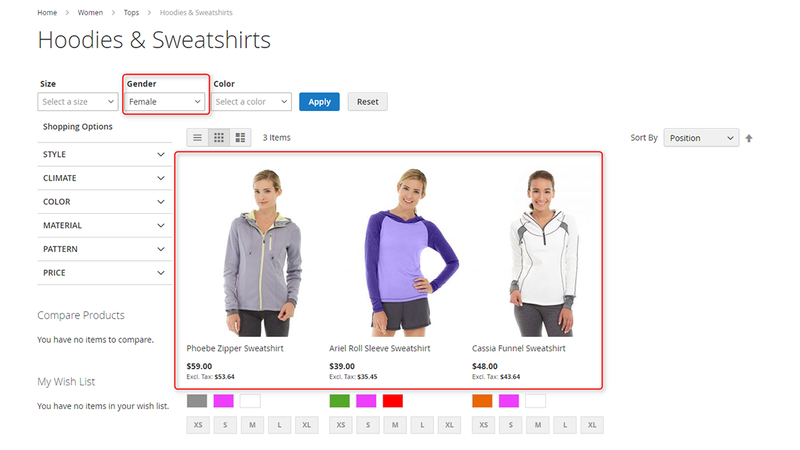 If you sell clothes, it will be easy to search a product using gender, size, color. It will be a good feature for your site if you want to make your store more user-friendly. So especially for such searching operations, we created the Products Finder Solution. 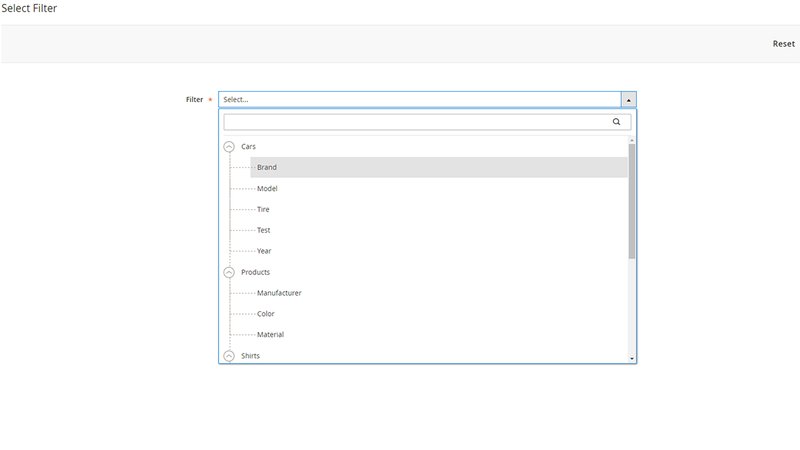 Products Finder Solution will help you to create and apply any filters you want, in any categories. 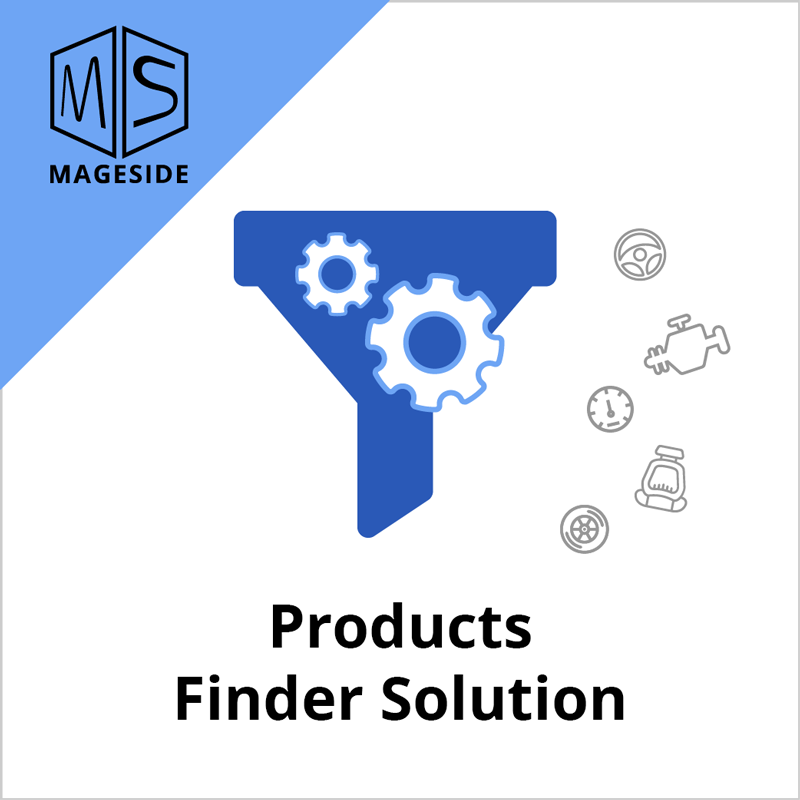 With the help of Products Finder Solution module, you can add unlimited number of product finders. In case a filter needed to be displayed in one category, let’s say for shirts, you can display filter only for this category. 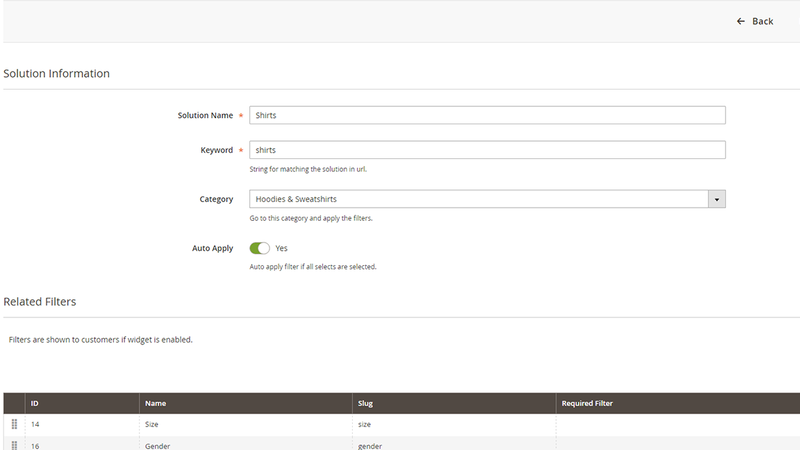 The Products Finder Solution extension has one excellent option, it’s auto apply. It will work when all finder filters are selected, and the extension will automatically give the search result. 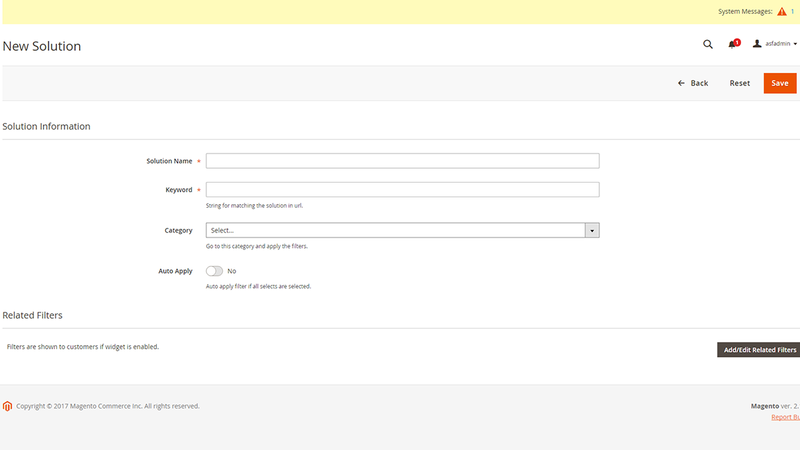 In the configuration settings of extension, one can disable the auto apply option. You can add related products for each filter. The related products will be shown for each filter option. It will be easy when some products match almost every selection. 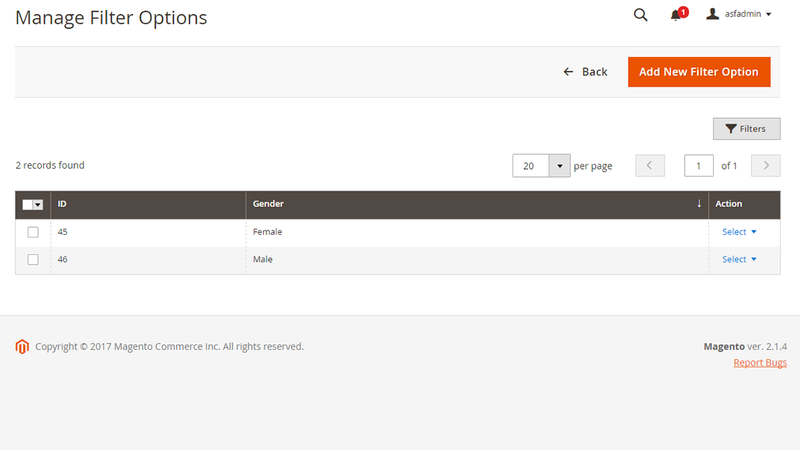 The import can be done by such fields as “SKU”, “Product Name” and also by other fields that you have created. 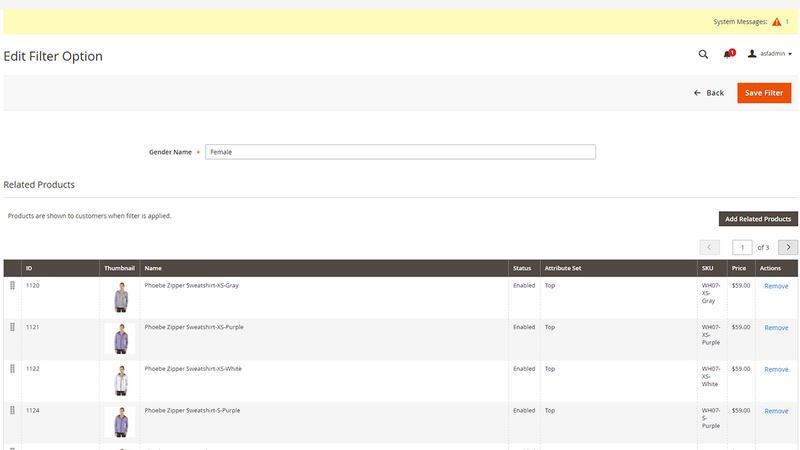 During importing the search is running with the total coincidence of identifier (SKU, product name, etc. 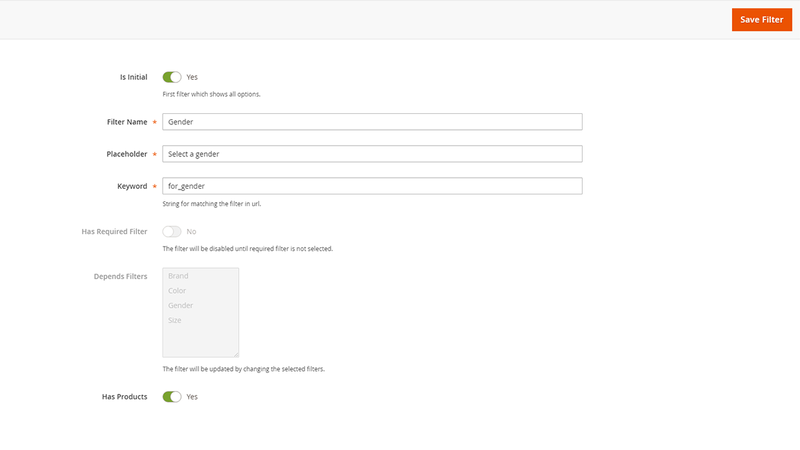 ), and also with partial coincidence (this option will be good when it is necessary to attach products with the common keyword, or symbol in the identifier). After a user initially applies filters, they are saved to cookies. When the user browses other categories with the same finder solution, previously used filters are applied automatically. 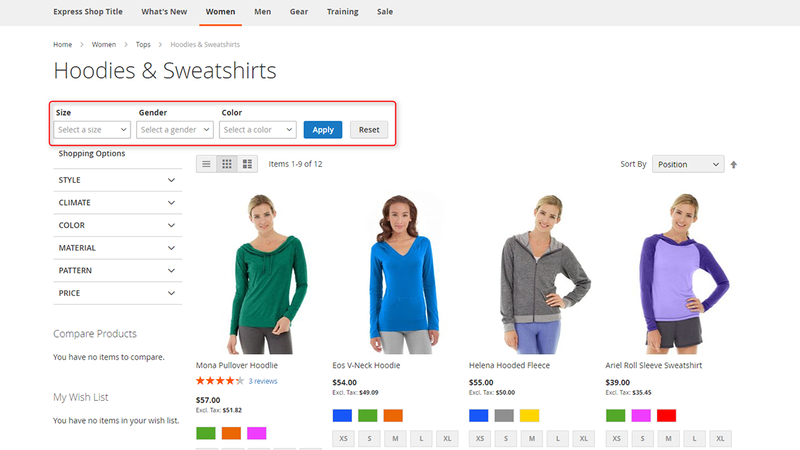 With the help of this option, you can add a special product tab on the product page with fitments. 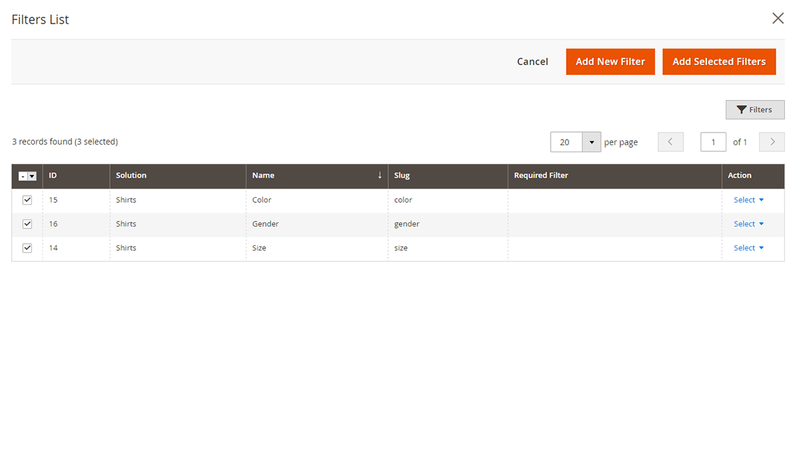 The table tab will show all fitments according to the filters concerning the product. You can apply a product to all filters in one click. Just go to Products panel and on the edit page apply a product to filters with the help of such checkboxes: ALL, ALL RECURSIVE. ALL - selects all filter options in current filter. ALL RECURSIVE - selects all filter options in the CURRENT filter and subfilters RECURSIVE. 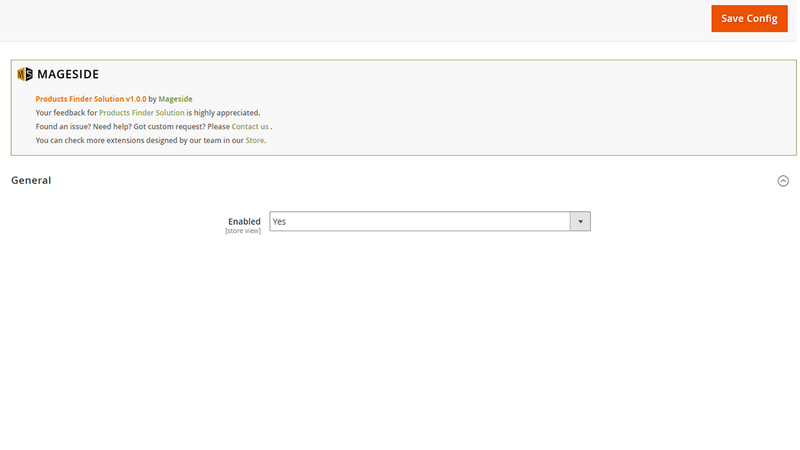 For example, if you click “All Recursive” in any filter this product will be applied to all filters. With the help of widget you can display a filter on any page you want. Display it on the category page, product page, main page etc. Filter one or more selectors by changing the value of initial selector. You can configure the selector's activity, the dependent filter will be disabled till the value in the initial selector is not selected. In the absence of obvious relations, the option’s filtering happens with the help of products (the options with common products are shown). 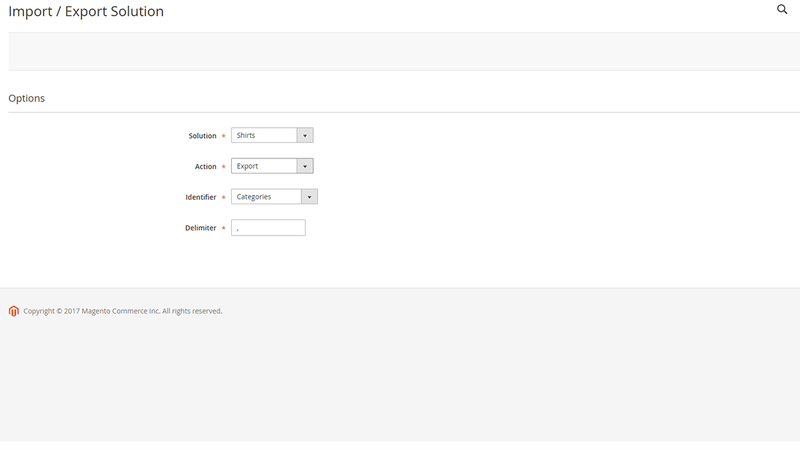 In configuration panel you can sort the filters in any order you want. Also, you can sort the products one by one or according to a couple of selectors. 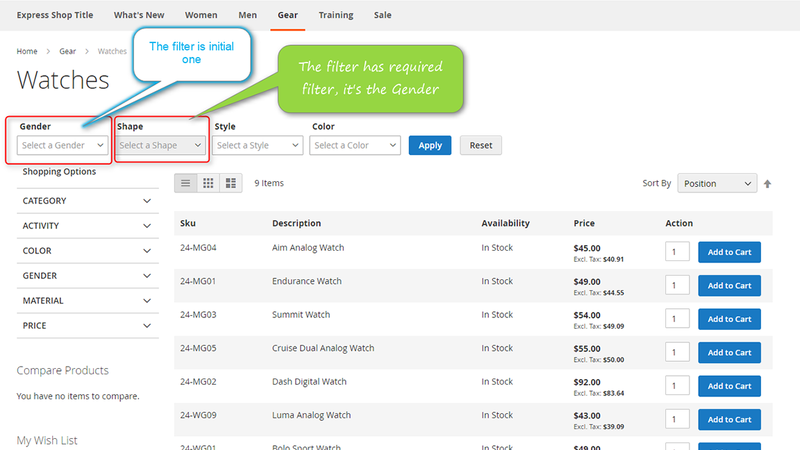 You can add related products to the filter right from filter settings or you can go to the product’s page and add it right on the product page. 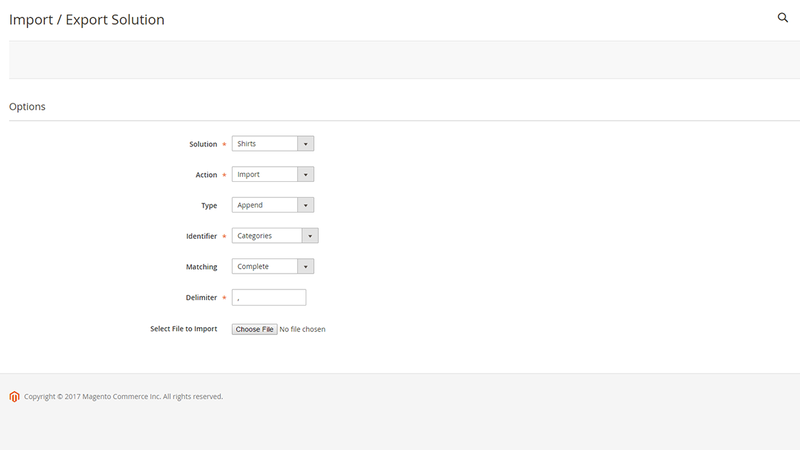 Also on the product page, there is an excellent option, you can make the quick creation of necessary options for selectors. It is foreseen in case of selector absence, so now you don’t need to go back to the extension configuration settings and create the option. Do it right on the product page. Rostislav informed me he had just such an extension, but they were still developing it. The built quality of this module looks exceptional to me. Also in terms of functionality: Everything I can think of (at least for the things I need) was possible. If you get used to this product other 'part selector modules' quickly feel simplistic. I definitely advise to buy this module when you need to have step-by-step product finder. And did I yet mention the support here is remarkable?